Welcome to my Mistine Review! This is a big question, especially for an Asian brand. We all know Thailand is famous for their one of a kind cosmetic business next to South Korea. We are aware of their booming beauty industry that’s currently influencing the world. In fact, they earned approximately $4.7 billion in revenue in 2017 alone and estimated to increase to as much as $5.4 billion this year. Given the number of positive feedback they’ve got from their satisfied clients, it’s something worth to write a review about Mistine, as one of the leading beauty and cosmetic network marketing company today. Before we dig into that, let me introduce you to Roope’s #1 recommended MLM income booster. It’s a 4-step proven method to increase your income even if you invest in any network marketing business of your choice. If you intend to invest in Mistine, you can go and give the 4-step technique a try. Are you ready to learn more about Mistine? Let’s dive into it. Shall we? Best for: People who want to sell beauty and cosmetic products to others, especially women, and introduce Thailand cosmetics to the rest of the world. Summary: Mistine Cosmetics is a 31-year-old network marketing company based in Thailand. Over the years, they have developed an array of beauty and cosmetic products and achieved one of the leading brands when it comes to women’s beauty needs. Is Mistine Recommended? No, it entails a lot of risks when opening a branch, especially it’s limited availability. If you want to buy their product, yes, it is. Not as a business opportunity. Learn more about it by reading the whole post. How To Make Money With Mistine? Mistine Review - What Others Say? 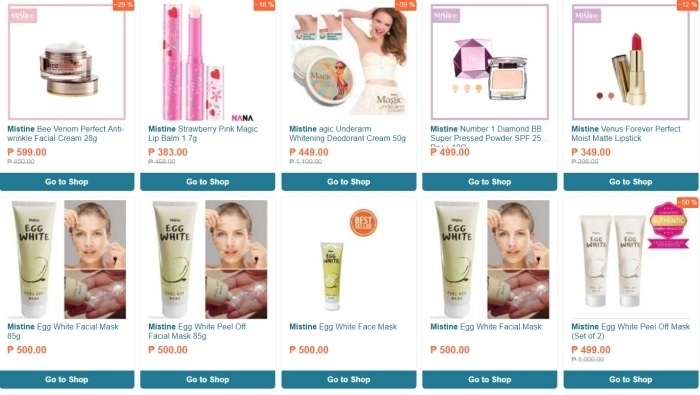 Mistine Cosmetics, simply known as Mistine, is a Thailand-based multi-level marketing company that offers cosmetic and beauty products to their target market, particularly women. It's actually the actual name of Better Way's flagship product since their establishment in 1988. With their determination to become one of the leading high-quality direct sales in the realm of cosmetics, their business grew to more than 6,000 products created and sold under 5 major groups. As soon as you land on Mistine's official website, this is what you see. For more than 20 years as a network marketing company, they built their reputation by proving their ISO certifications 9001, 9002, and Good Manufacturing Practice (GMP) from the Food And Drug Administration (FDA) stating their products are safe to their clientele. On top of that, the international community accepted their products resulting in the expansion of the brand to several countries like the Philippines, Singapore, Malaysia, Indonesia, and Vietnam. Like Avon as their counterpart and their biggest rival, Mistine is basically providing beauty and cosmetic products to their clients all over Asia. Their product line comprises the 5 categories I’ve mentioned earlier. Mistine insists on implementing 20% to 30% commission payouts and beyond to make their affiliates feel they the sense of belongingness in the company, given most of them treat this MLM as a second job. Hence, they provide progressive rates for them depending on their SV. Aside from their sales commissions, there is no statement whether they provide commission rates to affiliates who are able to enroll someone into the company (PV). You have low chances of earning when you become one of Mistine’s independent distributors because you’ll only rely on commission rates based on the monthly sales volume. Others like personal sales, team or group sales, and among others aren’t stated or clarified. Because of that, the company implements an automatic 20% to 30% payouts and more depending on sales performance. I’ve read the customers’ blogs about their experiences with Mistine products. So far, what I found out is they liked the products overall. The fact that it’s one of the first Thai brands that crossover internationally, there’s a lot to say positively about Mistine. One of the bloggers tried their lipsticks and found they’re quite good in terms of the matte and it doesn’t smell unlike the typical lipsticks sold on the market. A blogger from India ordered Mistine eyeliner (which is quite obvious why) to try with her eyes out of curiosity. By the way, both of these bloggers knew Mistine when they’re at the international airport because they’re advertisements scattered everywhere. Going back, she liked the design and the sharp tip as well as the pigment of the trace when she tried it on her skin. It’s her first time to encounter such product that doesn’t smear when applied on her eyelids and creating that wing on her eyes are easier when using Mistine versus other brands. Products are available only via an independent distributor. Products are dispatched only to selected countries. Now, when it comes to determining “Is Mistine a scam?” there are a lot of factors to weigh here. First, their business operations and the length of time they operated. They first established the brand way back to 1988. That’s 31 years ago, my friend. Second, they have a highly satisfactory rating based on customer feedback because their products are good. They even shared their blogs to express how satisfied they are with the brand. Definitely, it doesn’t disappoint to their cosmetic needs. Third, their product line availability. You can assure their products are legit because it’s only limited to independent distributors. Now, as to why I categorize this as a con. There are only a few countries where Mistine is available. So, if you are outside these branches, you have to make sure you visit the listed countries to purchase one. If not, you can opt for international shipping, if you will. Otherwise, you won't have access to any of their products and try. 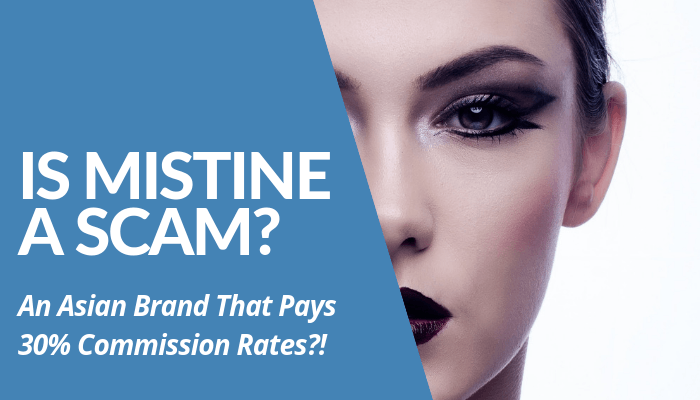 Given these reasons, Mistine Cosmetics is definitely not a scam but a legitimate company that’s been sincerely serving their clients in and outside of Thailand to obtain their beauty goals by using their products. Do you want to have an ultimate Freedom of your life even if you invest in an MLM? If your answer is, "Yes!" follow Roope's Ultimate Make Money Online Guide with ZERO cost. Now, in order to do that without fail, you need to get a grasp of what boosts your income aside from learning the basics of a network marketing company. These include basic training and sales marketing. A lot of this stuff. You need to consistently apply these high-income skills to make sure you’re in a competitive edge. To guarantee your success in this area, I suggest you take a look at Roope Kiuttu’s Ultimate Make Money Online Guide for FREE with 9,000+ words, written for you. He’s at that level of dedication to teach you to earn an income and maximize your potential as an online entrepreneur. Through the guide, you can take advantage of Mistine compensation although it’s only based on sales and not from recruitment and use it to the fullest. Take a look at these people who succeeded using the program. If you want to get a gist of what this guide all about, click here to get your FREE copy of our Ultimate Make Money Online Guide and see yourself the outcomes it brings for you and your financial freedom. They’ve been doing the same 4-proven step that helped them gain their financial freedom, freedom from the dread and mundane 9 to 5, and freedom to self-expectations as they began to gain their self-confidence to earn money by themselves. If you want financial success so bad, give your all equating it to the compensation you deserve. Strive and be strategic, my friend. That’s the key to your success in this industry. Now that I have shared my thoughts and opinions in my “Is Mistine a scam?” review post, I turn the table and ask your opinions about this network marketing company. What kinds of experiences do you have with Mistine? Are they worth your time, money, and effort? 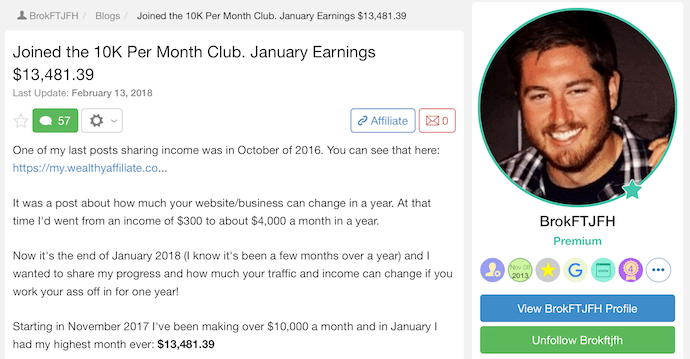 Do you prefer to begin earning your first passive income through affiliate marketing or you rather invest in a Multi-Level Marketing company like this one? If you have further questions that I haven't discussed in the post, feel free to leave them in the comments. I love to read them. And I’d appreciate it more to learn your thoughts about the post. On the other hand, if you feel like you want to learn more about Roope’s step-by-step formula and his #1 recommendation to making money online, leave a comment as well and he'll be happy to be of help. Even if he’s traveling abroad right now, he’ll respond to your thoughts below this post.